My first and maybe last FO of 2016. Life is going fast! 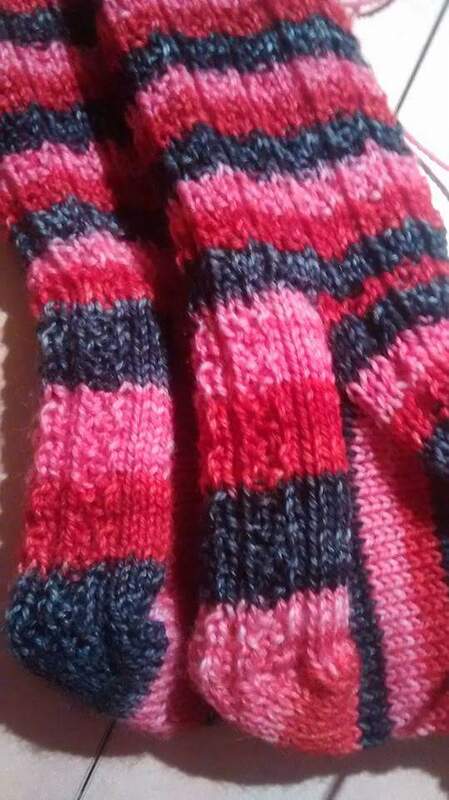 These socks are made for my sister and I wanted her to have them before the end of the year. It started pretty well. 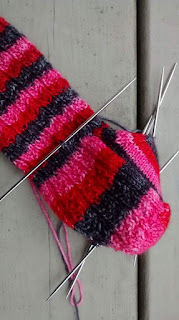 In June, I was already turning the heel of the second sock. I'm a perfectionist most of the time and... I wasn't happy with how different the two heels were when side to side. I could only imagine how the toes would end differently too - when I so carefully started the second sock with the same colors as the first one. So I had to tink :) That's fine! I almost love it as much as knitting, knowing that I will be satisfied in the end. You can see my project page on Ravelry for more details. Towards the end of the project, I was no longer able to access the pattern. Fortunately, I had a printed copy from the first ones I made. That's too bad because I think it is a great pattern. I'm with you. 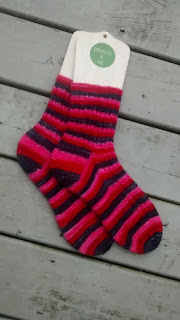 I can't stand self striping socks that don't match right. It bothers me so deeply! Thanks for sharing your beautiful socks with us. 46 years old mother from the Great Montreal Area, Canada. 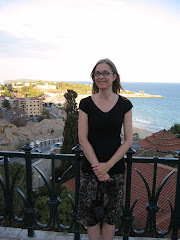 I like volleyball, movies, reading, learning Spanish, running ... and of course, knitting!